The Karasjok Greenstone Belt of the northwestern Baltic/Fennoscandian Shield forms the westernmost unit in a Palaeoproterozoic tectonic belt, recording crustal mobilization, tectonic reworking and metamorphism of the Archaean and Palaeoproterozoic lithosphere during a 2.1-1. 7-Ga tectonic episode. In northern Norway, this 100 krn-wide tectonic belt consists of linear segments of highly strained rocks that are separated by N-S-striking thrust zones. 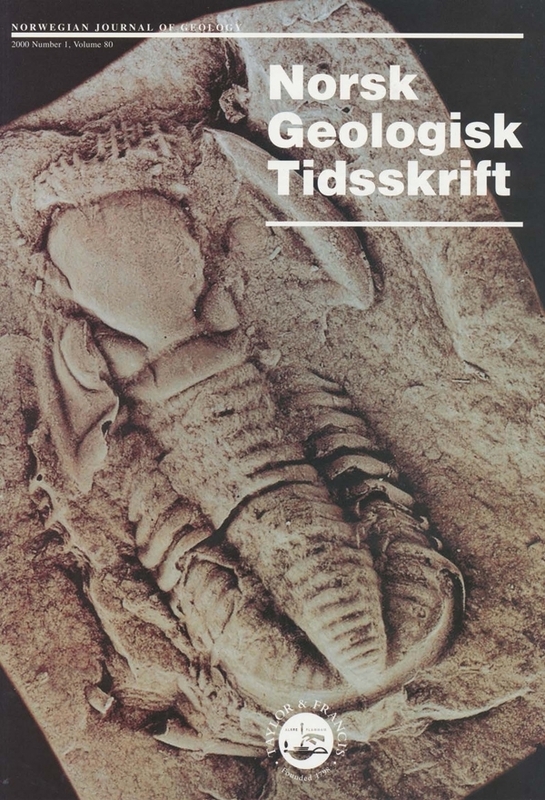 The lowest unit, the Karasjok Greenstone Belt, consists of low- to medium-grade volcanogenic and sedimentary rocks. Excellent exposures in the northern part of the greenstone belt reveal a continuous lithostratigraphic section towards the core of a major recumbent synform, which is related to the regional 01 deformation episode. This episode is responsible for transposition of primary features and formation of an east-dipping penetrative foliation and banding, with a well-developed east-plunging stretching lineation. Major 01 shear zones, marked by mylonites and blastomylonites, are found (i) locally at the base of the belt, (ii) at high tectonostratigraphic levels, and (iii) at the upper boundary of the greenstone belt. Shear-sense indicators support west-directed displacement along the thrusts. The superimposed 02 episode is evident as east-plunging folds, whereas a major 02 thrust with top-to-the-SSW shear occurs near the base of the greenstone belt. The younger 03 episode is manifested by N-S-trending folds of the former (01 and 02) structures. All fold systems are truncated by steep NE-SW-striking brittle faults of 04 affinity. The polyphase deformation seen in the Karasjok Greenstone Belt supports a model in which the assembling of the Karasjok Greenstone Belt, the Tanaelv Migmatite Complex and the Levajok Granulite Complex occurred from major orogen-normal E-W contraction (collision) during the 01 episode. At this stage the greenstone belt was isoclinally folded and welded to overlying units during west-directed overthrusting of the medium- to high-grade complexes. From then on the greenstone belt acted as a basal detachment zone. The 02 episode of NNE-SSW shortening and SSW-directed thrust emplacement suggest dextral and orogen-oblique movement patterns, prior to continued orogen-perpendicular E-W shortening during the 03 episode. The final faulting (04) may relate to a post-orogenic, shield-scale strike-slip event.